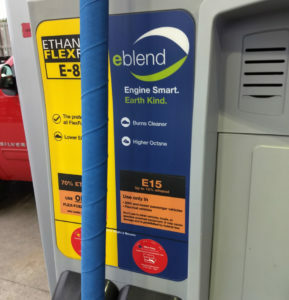 A top ethanol industry official is echoing Iowa Senator Chuck Grassley’s concern about the timeline the Environment Protection Agency has proposed for moving to year-round sales of E15. The recently published agenda by the EPA shows E15 rule making would begin in February. American Coalition for Ethanol CEO Brian Jennings says the process needs to start much sooner than that. “A proposed rule in February, taking into consideration the comment period, probably a public hearing, how long it has taken EPA to conduct other rule making — it doesn’t appear as if they will be able to get this done in time for the 2019 summer driving season,” Jennings said. Grassley, in a call with reporters this week, said it will “look like the president wasn’t serious in his announcement” if the EPA doesn’t ramp up its timeline. “We don’t need this sort of bureaucratic red tape with something that’s been discussed in Washington for four or five years and discussed within this administration, and specifically with EPA, and specifically face to face with the president for about a year now,” Grassley said. According to Jennings, it’s up to the Trump Administration to follow through. “We really need the administration to speed this up,” Jennings said. “We can’t have EPA slow-walk this after the president made such a big splash in announcing it.” Current law restricts the sale of E15 and higher ethanol blends from June 1st to September 15th. President Trump traveled to Council Bluffs two weeks ago and announced he directed the EPA to make E15 available all year.